After a road loss to Florida State followed up with a win over Syracuse, the Jackets are now 5-12 in conference play this season. One key storyline for Tech’s team this season has been the inability to pull ahead after getting the lead. Another one is not playing as well in the second half of games as they do in the first half. 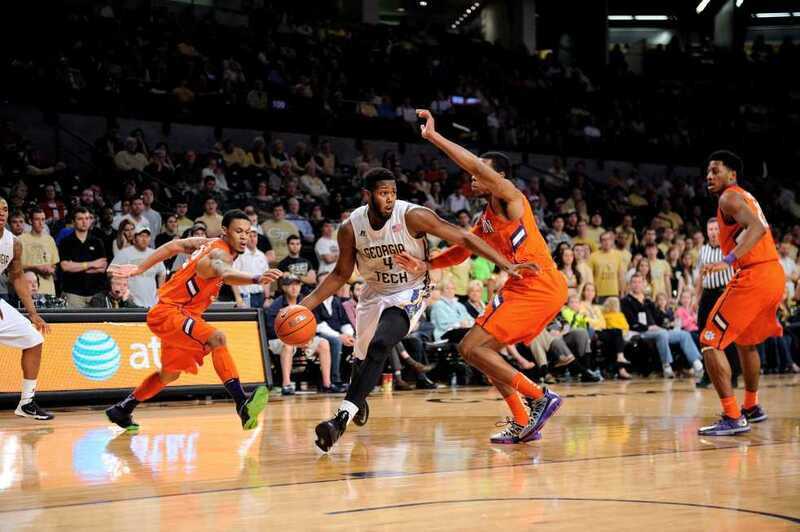 Going back to Tech’s most recent home game, a 63-55 loss to Clemson, both of these were an issue for the Jackets. In the first half, Tech shot 50 percent from the field and allowed the Tigers to only put up 23 points, sending the Jackets to the locker room with a 29-23 lead. Tech would increase their lead to nine early in the second half, but allowed the Tigers to go on a run to take the lead and win the game 63-55. In the second half, Tech shot just 37.5 percent, 12.5 percent worse than the first half, and allowed the Tigers to score 40 points. In Tech’s next game, on the road against Notre Dame, the Jackets had an 11 point lead in the first half, but ended up losing 65-62. Tech actually performed just as well in the second half of this game as they did the first half, scoring 31 points in each and holding Notre Dame to one less point in the second half, but it still was not enough to come up with the victory. Even in Tech’s victory over seventh ranked Syracuse Tuesday night, Tech allowed the Orange to score 16 more points in the second half than they did in the first. “As you get through this process, you have to get to the point where you figure out, even when those things happen, how you can still finish off the games and during those times make the plays you need to do be successful,” said Tech Head Coach Brain Gregory. In the eight conference games where Tech held the halftime lead, they were only able to win half of them. There have also been five games where Tech trailed by three or less at halftime, and the Jackets are 1-4 in those games. Two statistics that stick out are the increase in points scored by Tech’s opponents in the second half and the decrease in second half shooting percentage for the Jackets. Tech is holding opponents to just 31.71 points per game in the first half, but that increases to 36.59 in the second. Tech’s shooting percentage drops by 4.64 percent in the second half, from 45.16 percent down to 40.52 percent. Even with the poor second half performances, Tech has still been close to winning several games where they either held the lead or were within a few points of the lead at halftime. In the first matchup against Clemson, Tech trailed by just three at halftime and ended up losing by four. At North Carolina State, the Jackets led by five at halftime, but went on to lose by two in overtime. Early in the season, Tech led Pittsburgh by three at halftime, and ended up losing by seven. Had Tech been able to pull these games out, the season could be looking quite a bit different for the Jackets. Although Carter Jr. did not express why he believes the Jackets are not performing as well in the second half of games, he believes the inability to hold on to the lead can be attributed to multiple things, mainly coming down to not being able to make the one or two plays that end up determining the outcome. “Just those one or two possessions. Not getting that rebound, not scoring that basket, not getting that defensive stop,” Carter Jr. said. Gregory shared a similar sentiment about it not necessarily being any one thing in particular, such as poor shooting or rebounding, but more of just one or two plays down the stretch where Tech failed to execute that resulted in the loss. The Jackets will have one last regular season game to get things figured out, a home matchup against last place Virginia Tech tomorrow, before heading to Greensboro, NC for the ACC Tournament.